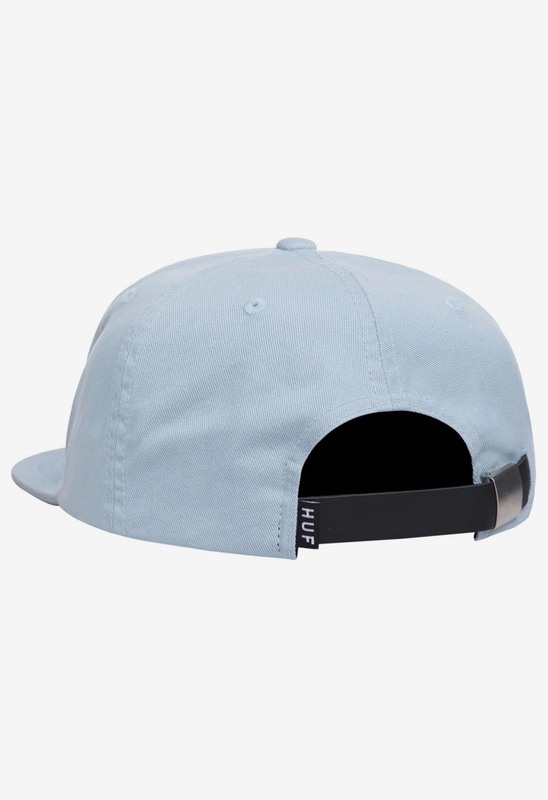 The Washed Metal H strapback hat is available in aloe and sky. 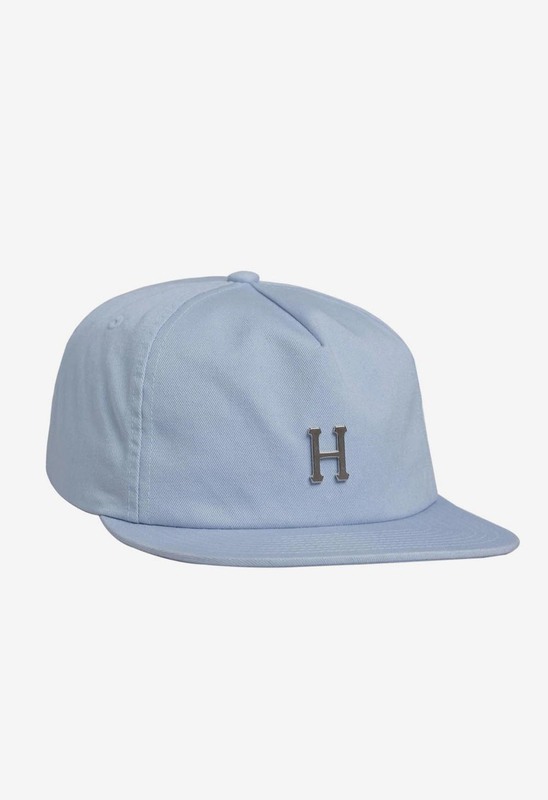 Details include an antique brass metal H at front crown and a HUF woven label at back strap closure. 100% cotton twill.